THE MANAGER of Shetland Seafood Auctions says the isles could be looking at a bright new future for the whitefish industry with more than double the catch handling capacity once the new markets at Lerwick and Scalloway are complete. Speaking as the latest figures show 2017 was a record year for demersal (whitefish) landings in Shetland, Martin Leyland said that the good news in an uncertain political future was that the isles marketing infrastructure was set to take a giant leap forward. If other factors play out for the industry, future landings at the rebuilt fish markets could dwarf the latest record breaking trends. A report into last year’s landings by NAFC Marine Centre in Scalloway says more whitefish was landed into Shetland in 2017 than in any previous year. The 21,246 tonnes landed tops all previous annual totals, edging the previous record of 20,700 tonnes in 1972. The report also largely attributes the upturn in fortunes for the demersal sector to the establishment of an electronic auction in Lerwick and Scalloway fish markets in 2003 – a claim that would appear substantiated from the graphs of fish landings. Leyland said that this year’s figures are almost certain to break records again, with 440,000 boxes of whitefish expected, compared with 403,000 in 2017 and 357,000 in 2016. Leyland said that there were a number of factors that had helped the auctions succeed, such as a days at sea regime that encouraged skippers to land as close to the fishing grounds as possible, instead of wasting allocated days tripping to distant fish markets. 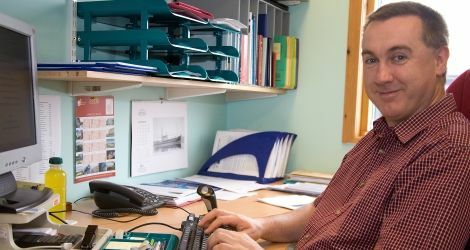 He paid tribute to the shareholders in Shetland Seafood Auctions, now in its 20th anniversary year, for investing in the electronic auctions, something that had pushed up prices, encouraging both local and mainland Scottish boats to land to Shetland. With the new Lerwick fish market to be complete in Q1 2020 and Scalloway to be completed after that, Leyland said Shetland would have the ability to handle twice as much demersal fish. He said fishermen had been pleasantly surprised with the temporary facility at Blacksness Pier in Scalloway that has given far more floorspace for sales than the narrow old market that is being replaced. The interim facility had helped contribute to a record 7,863 box weekly landing in Scalloway in the past week – the most since the electronic auction began. Shetland Fisheries Statistics 2017 shows demersal landings in the isles were worth £41.9 million, of which 17,346 tonnes worth £34.6 million were landed by local boats. In 2016 demersal landings into Shetland were roughly 19,000 tonnes. The report’s author Dr Ian Napier said it was 30 years since Shetland demersal (whitefish) landing’s exceeded 20,000 tonnes. Shetland boats landed over 17,000 tonnes of whitefish – worth over £30 million – to all ports, nearly all of which were in Shetland. The weight of those landings was nine per cent greater than in 2016, while value was 19 per cent higher, again continuing the upward trend seen over the last few years. 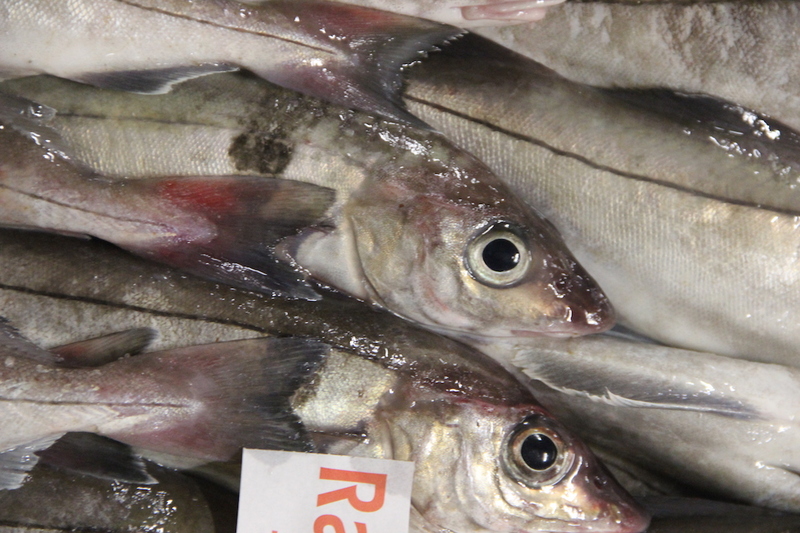 Since the advent of the electronic auction, the bulk of white fish landed to Shetland has trebled and value gone up by nearly six fold, following years of steep decline. Pelagic landings in Shetland in 2017 were slightly less than in the previous year, with almost 40,000 tonnes worth £30.4 million being landed. Of this only 16,590 tonnes worth £12.4 million were landed by local boats. Shetland pelagic trawlers landed 84,613 tonnes of fish worth £60.5 million outside Shetland, mainly to Norway. According to the report the decline in overall fish landings, including shellfish, was mainly due to falls in landings of mackerel, which continued to be affected by difficult global market conditions, and to a lesser extent landings of queen scallops by visiting fishing boats. Thirty species of demersal fish were landed into Shetland with cod the most valuable at £11.44 million – 27 per cent of the total. Haddock and monks were almost the same in value, being worth £8.16 million and £8.112 million respectively. Scalloway continued to grow in importance as a demersal port with 37 per cent of the catch worth 38 per cent of the value, with Lerwick slightly ahead at 45 per cent by volume and 44 per cent by value. Cullivoe landings doubled to 14 per cent of volume and value and another four per cent of fish were landed elsewhere. About one sixth of all the white fish landed in Scotland was landed in Shetland in 2017 – 15 per cent by volume and 17 per cent by value. This was 13 per cent of all demersal landings into the UK. More white fish was landed into Shetland than England, Wales and Northern Ireland combined, and Shetland is the number two “port” for fish landings in the UK – though still a long way behind Peterhead in volume and value.